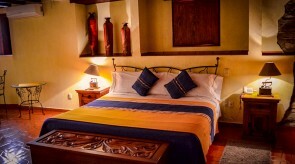 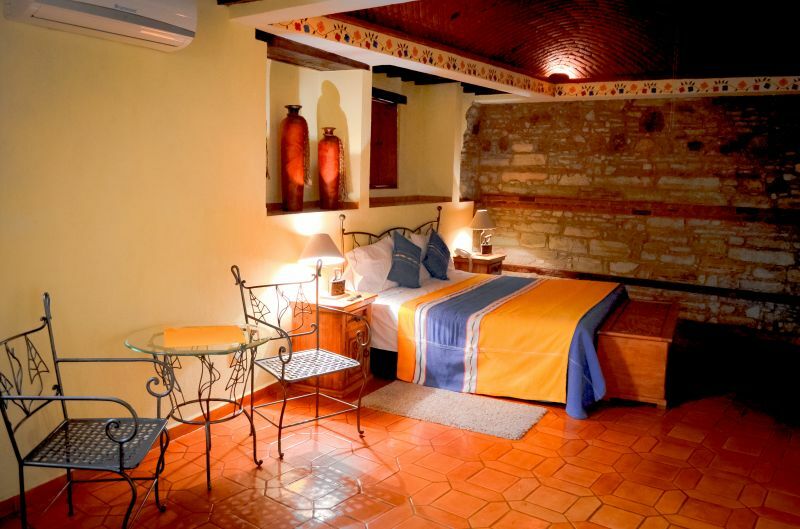 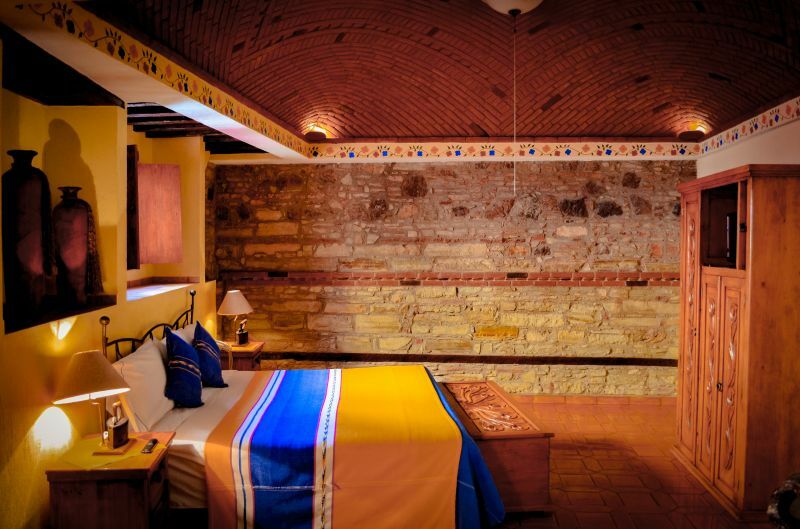 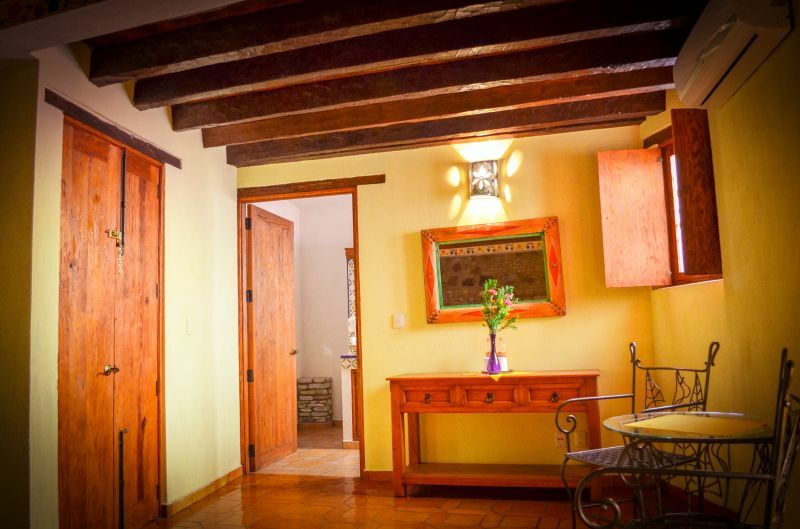 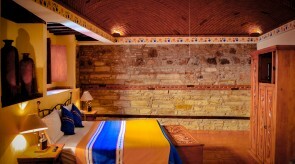 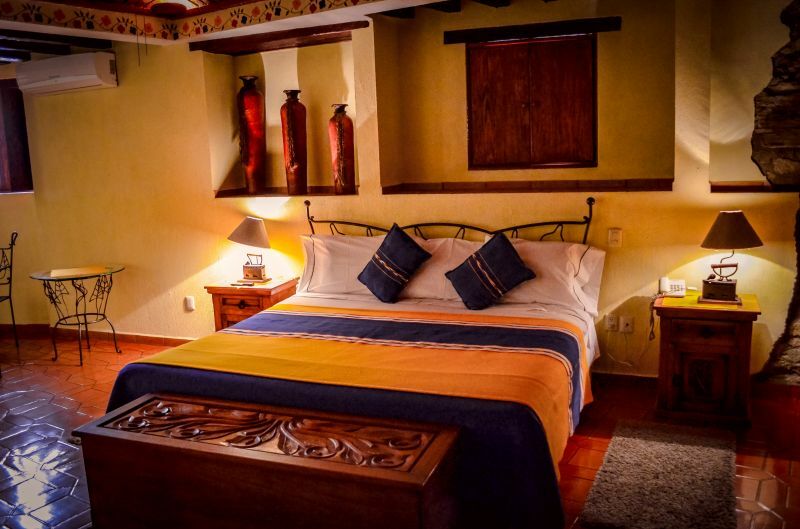 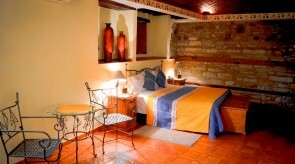 Spacious room with king-size bed, clay tile floor and impressive domed ceiling. 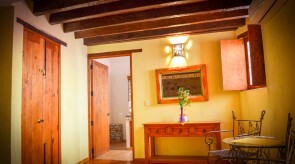 Furniture is Mexican rustic wood and wrought iron. 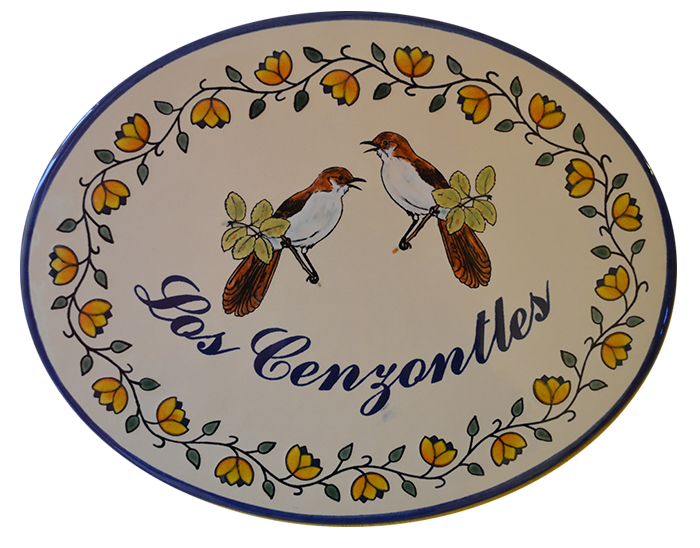 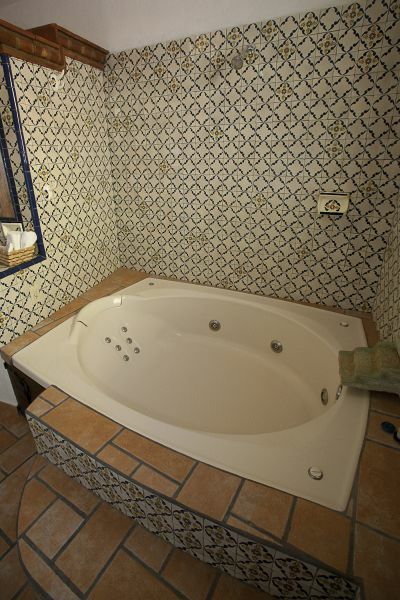 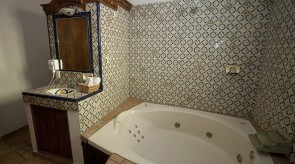 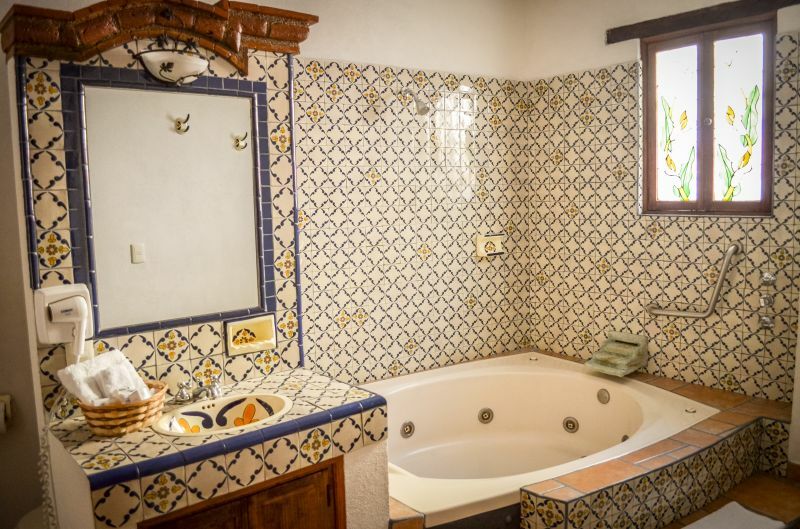 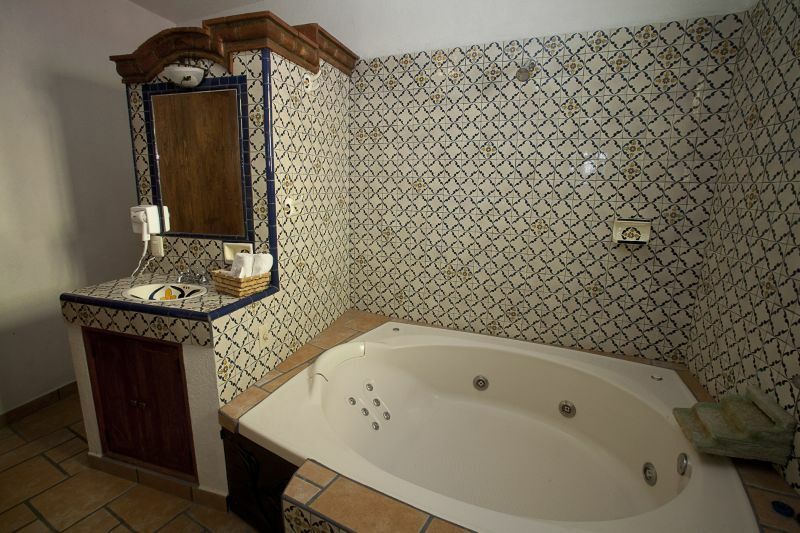 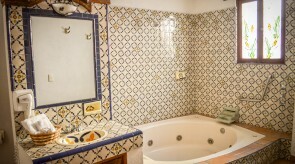 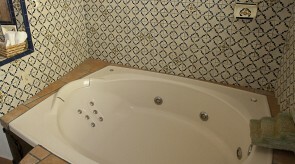 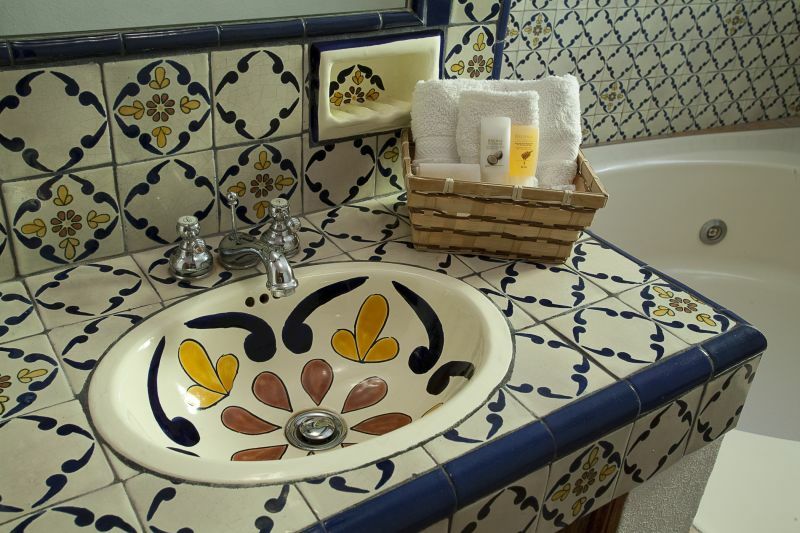 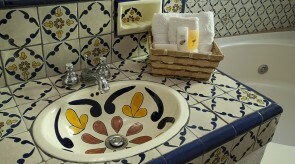 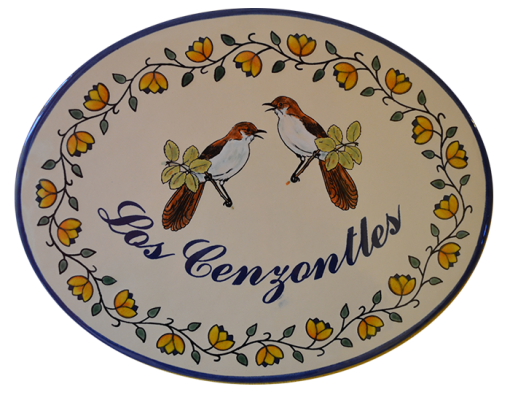 Bath with jacuzzi for two and decorative Talavera (traditional handmade tiles made locally).